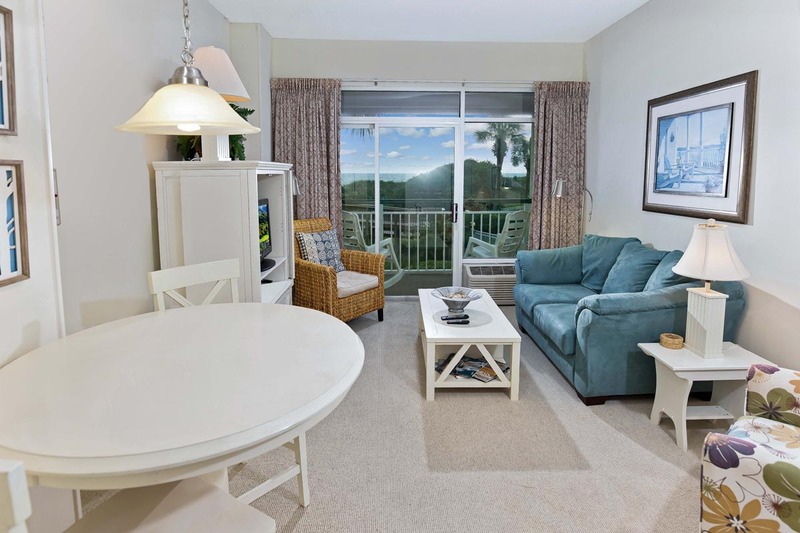 One Bedroom, One Bath Suite at Bridgewater with partial ocean views. 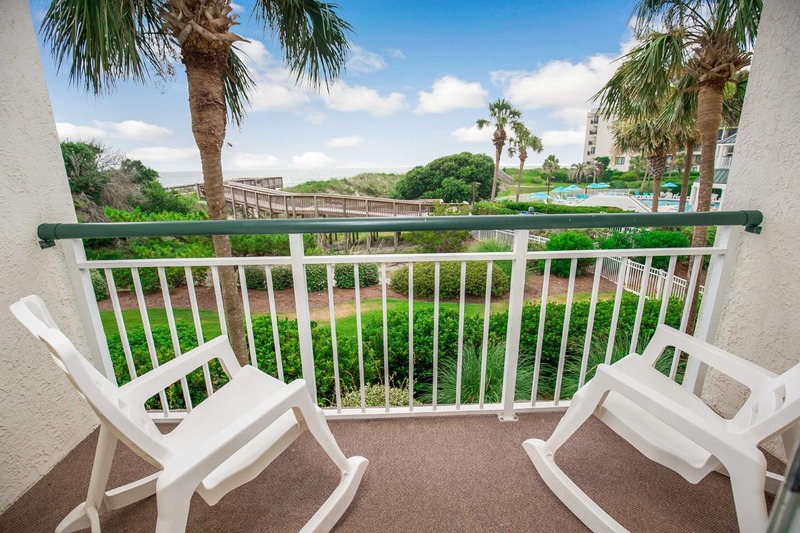 Features 1 king bed or 2 double beds (please indicate any bedding preferences upon booking), a galley kitchen, a dining area, a living room, a balcony, and an on-site outdoor pool with a lazy river. Resort Amenities Include: 4 centrally located golf courses, outdoor pool with lazy river and play plaza, health and fitness center, bike rentals and bike trails, tennis courts, fishing lake (fishing license required), business center, private beach access, wireless internet access, and Starbucks.